You have found your dream home and you are eager to get a mortgage, move into the property and start enjoying life there. However, there is only one problem standing in your way – the fact that you have been through some hard financial times in the past. If you (or your partner) have been bankrupt previously, will this affect your chances of being able to buy the home you want? The good news is that it is still possible to obtain a mortgage even if you have been bankrupt before. Choose the right lender. Some lenders may not approve your new mortgage if a bankruptcy shows up on your credit history. However, there are some that do as long as you are able to prove that you have the income to make your payments. If your bankruptcy was caused by factors that are beyond your control, it may be easier to get a new mortgage as opposed to a bankruptcy that was caused by poor money management. 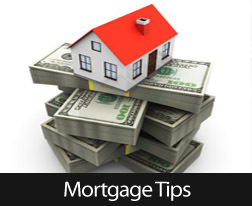 Explain the circumstances of your credit history to your mortgage loan officer. When you are buying a home after bankruptcy, try to save up as much of a down payment as possible. Your lender may want to see a minimum of 10% as a down payment, but more is better. Build up your credit again by always paying your credit card bills each month along with any other debt. The higher your credit score, the better chance you will have of being able to obtain a mortgage. Avoid writing checks that you think might bounce, as this shows up poorly on your credit report as well. Any retirement plans or 401 K assets will make your credit look good, so if you can set these up it may help you to obtain a mortgage. Don’t switch jobs right before applying for the mortgage, the lender wants to be able to see that you have a reliable source of income and that you have been at the same line of work for a good amount of time. Keeping these tips in mind will help you to obtain a mortgage even if you have been bankrupt before. For more information about buying a home and securing your next mortgage please contact your trusted mortgage professional today. Next ›Rounding Up Your Mortgage Payment, Will It Really Help?